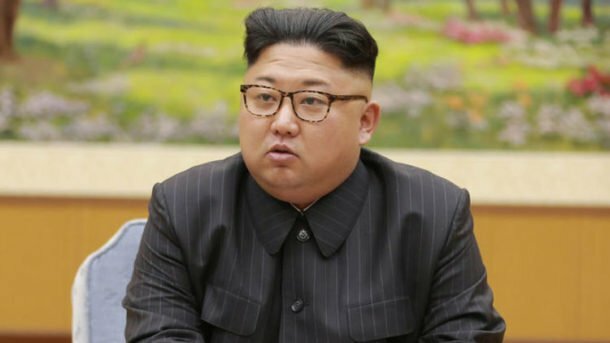 The secretive regime’s state-run newspaper said “the moves of US imperialists to ignite a nuclear war have reached climax” since President Donald Trump was inaugurated in a scathing editorial. Rodong Sinmun’s message harks back to the years after the Korean War which was fought between 1950 – 1953, with the US backing the South and China backing the North. The article claims: “On July 15, 1957, the US declared that it would start to arm its imperialist aggression troops in South Korea with nuclear weapons. “On Jan 29, 1958, it announced that it introduced nuclear weapons into South Korea. Rodong Sinmun said: “This goes to prove that the US imperialists are frantic with the moves to ignite a nuclear war at any cost on the Korean Peninsula, trampling down the aspiration and demand of the Korean nation for peace and reunification. “The US spawned the nuclear issue of the Korean Peninsula and it is the mastermind of nuclear war. It come as retired US Army General Jack Keane warned that North Korea could launch “another missile test” during the Winter Olympics in South Korea next month. The retired General then went on to explain why it is perhaps likely North Korea will jeopardise its “goodwill” negotiation tactic. He said: “He uses negotiations to promote good will, and it’s obviously not going to work, trying to drive a wedge between South Korea, the United States and Japan, which is not going to happen here. And chilling satellite images have revealed how North Korea’ missile capabilities have become more sophisticated under Kim Jong-un’s leadership.